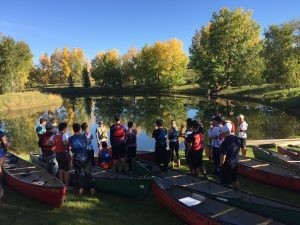 In coordination with Rocky Mountain Paddling we offer lessons of all types to members and non-members, both individuals and families. Please see the RMPC website to view lesson availability. BWCC members save 15% off the non-member price. Please add GST to all course costs. Open to all, parents do not need to be members! 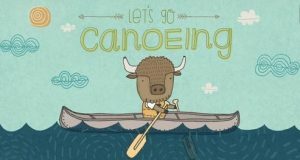 Join us for a week of canoeing fun! We will learn how to paddle our canoes on the lake and river. We will be on the lake the first day and then spend a few days paddling on the Bow River in Calgary. Click Here to Sign Up for July 9-13, 2018 Camp! 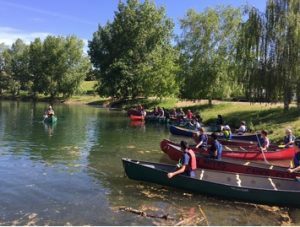 This camp will teach participants how to safely paddle on the river, pack for a trip and finish with an over night canoe trip on the Bow River. Day 1,2 and 3 are in Calgary, day 4 we will head out on an overnight trip and return home on day 5 just after noon. Click Here to Sign Up for Aug 27-31, 2018 Camp!